What do Integrated Restoration’s summer help do when not working for Integrated Restoration? Sheldon Stuckart, a sophomore at Lindenwood University in St Charles, Missouri, is an Integrated Restoration summer work painter / laborer. Sheldon is also a USA Junior National Olympic Weightlifting Champion. 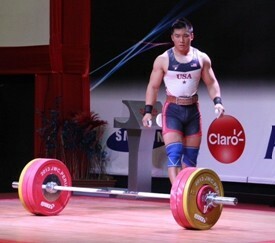 On March 8, 2013 Sheldon represented TEAM USA at the Junior World Weightlifting Championships in Lima, Peru. In his first international competition Sheldon placed 12th in the Worlds. We are proud of the caliber of all of our employees. Sheldon’s efforts representing TEAM USA make INTEGRATED RESTORATION especially proud.